Feverwort is an herbaceous plant that can grow up to 1 metre in height. It has a circle of packed leaves at its base, and opposing leaves along the stem. The flowers, with red petals, are clustered together at the terminal part of the plant. It is a common species that grows well in open areas such as parks, household gardens, along roads and urban meadows. The plant has a long tradition of therapeutic use in treating fever. Feverwort is also commonly referred to as Centaury. Allen, D. E. & Hatfield, G. 2012. Medicinal Plants in Folk Tradition. (Timber Press, Incorporated. Newall C, et al. 1996. Herbal Medicines . London, England: Pharmaceutical Press; 67. Weiss R, et al. 2000 Herbal Medicine . 2d ed. New York, NY: Georg Theme Verlag. 52-54. Haloui M, Louedec L, Michel J, et al. 2000 Experimental diuretic effects of Rosmarinus officinalis and Centaurium erythraea . J Ethnopharmacol. 71:465-472. Schimmer O, Mauthner H. 1996. Polymethoxylated xanthones from the herb of Centaurium erythraea with strong antimutagenic properties in Salmonella typhimurium . Planta Med . 62:561-564. European Medicines Agency 2009. Assessment report on Centaurium erythrae rafn. S.L. 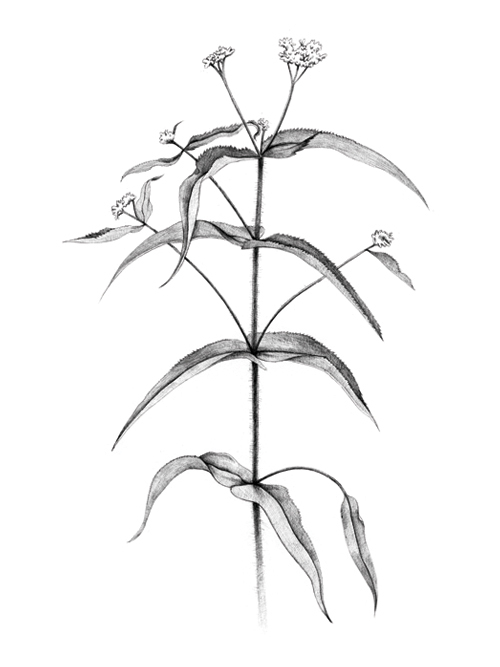 Including C. Majus Zeltner and C. Suffruticosum , Herba for the development of a community herbal monograph.